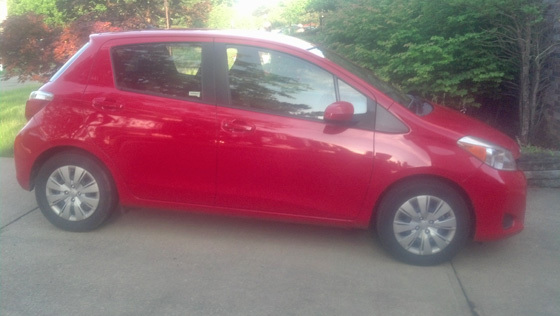 I got a rental car over the weekend, and the subcompact model available was a 2013 Toyota Yaris. It reminds me of my first car, a 1970 Volkswagen Beetle. Small, noisy- probably less of a death trap because of the front and side airbags- but somehow endearing in a "Little Train That Could" sort of way. It has a trunk accessible through its hatchback, but that's being somewhat charitable. Like the brains of some congresspersons, it's there, it more or less functions, but it lacks the capacity to be of any practical use. I managed to lug a new lawn mower back home from the store last night, but it required dropping the back seats and a bit of acrobatics. Toyota says the name is a combination of "ya," the German affirmative, and "charis," a Greek word for beauty and elegance. As in, "What do you think of my car?" "Cough.. Uh... yeah, beautiful and elegant. Snrk." 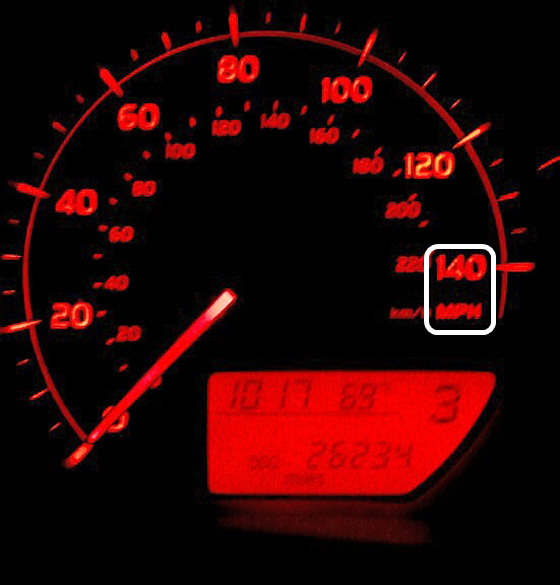 140 miles per hour? Perhaps, if it's dropped from an airplane. There are YouTube videos showing people attaining 119 miles per hour on the Autobahn while traveling downhill with a tailwind, but it's not something I'd attempt. Oh, and the car had Arkansas plates. Yee-haw!